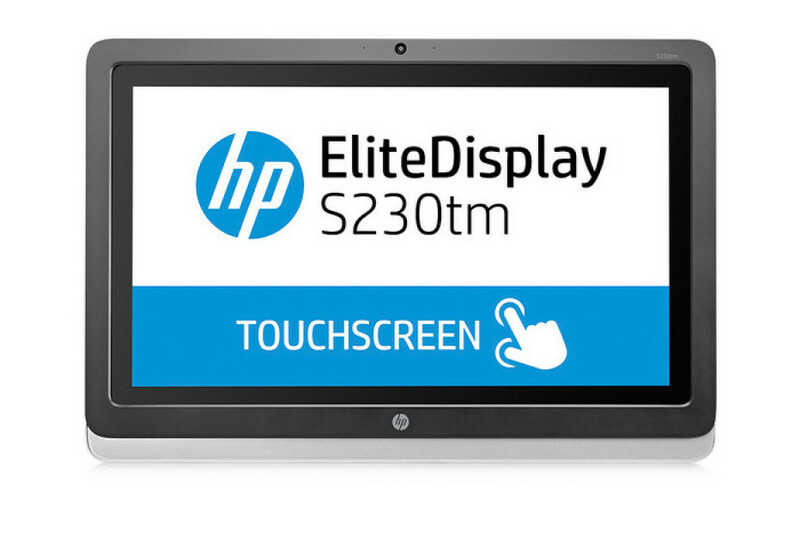 If you want to have a cool new sensor monitor for working with Windows 8 then HP may have something just for you – the all-new EliteDisplay S230tm sensor monitor. The new HP product measures 599 x 69.5 x 409 mm and weighs 6.5 kilograms. These dimensions house a 23-inch IPS monitor with anti-glare technology and Full HD resolution (1920 x 1080 pixels). The display is capable of reaching 220 cd/m2, a static contrast ratio of 1000:1, a dynamic contrast ratio of 10 000 000:1, 7 ms of response time and 178-degree viewing angles. You also get DVI and DisplayPort ports as well as built-in headphones, a web camera and a moving stand. The display can also be hanged on a wall using VESA. The EliteDisplay is Windows 8 certified and comes in black and silver colors. The device needs 36 watts of power when operating – a value that goes down to 0.5 watts in standby mode. Unfortunately the pricing of the new display is unknown.